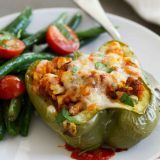 A delicious and “fancy” dinner does not have to take all day! 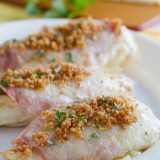 This Easy Chicken Cordon Bleu is ready in under 30 minutes. Plus a review of Supermarket Healthy by Melissa d’Arabian. Sometimes I get really excited about cookbooks. Ok, all the time I do, let’s be honest. But sometimes, I get so excited that I’m constantly looking out the front window, watching for the mailman or the UPS truck. Sometimes I know the release dates, and I’m one of those people first in line to order. Today’s cookbook review is one of those books. 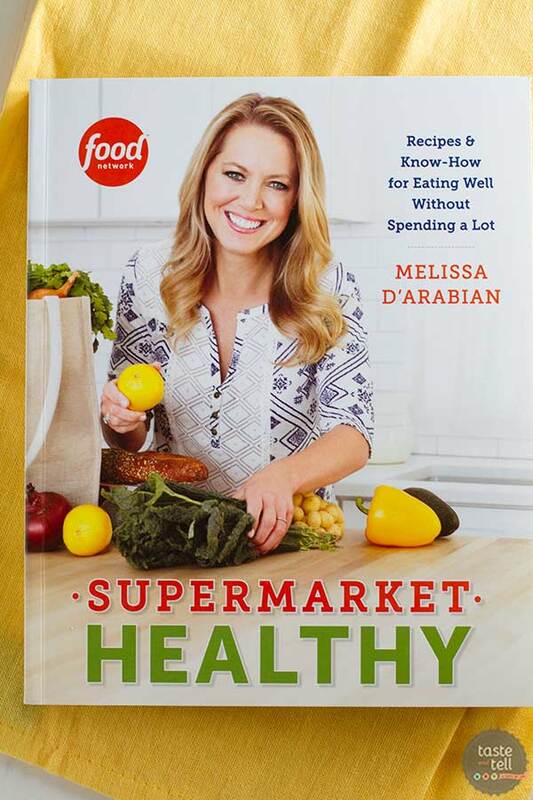 I have been looking forward to Melissa d’Arabian’s newest book – Supermarket Healthy – ever since I first heard about it. And I eagerly waited for it to show up on my doorstep. I’ve been a fan of Melissa’s ever since she was on The Next Food Network Star. There is something about her that is very real and down to earth. 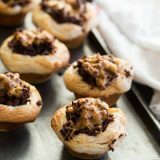 I have made several of her recipes over the years, and have a ton more bookmarked. I don’t have her first cookbook (I think it came out when I was on my cookbook buying “diet”), but I wasn’t going to pass this one up. Filled with recipes that are not only good for you, but won’t break the bank as well, I can already tell that this will become a go-to book for me in 2015. 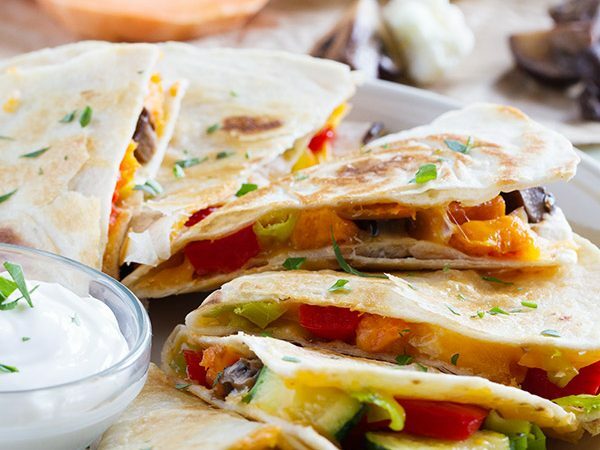 The recipes are creative and inventive without being over the top. And I feel like there is a great variety of recipes in the book. 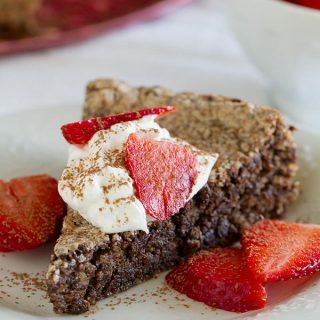 But one of the things that I love the most is how fresh most of the recipes seem – filled with lots of produce, which isn’t always seen when you are looking at recipes that are created with being budget friendly on the mind. Number of Photos: Many. There isn’t a photo of each dish, but there is probably a photo of every other recipe. The photos are gorgeous and want to make me cook them as soon as possible. Availability of Ingredients: Easy Same as above, these recipes are not made to be rocket science. You should be able to easily find all of the ingredients in any grocery store. Buy Supermarket Healthy on Amazon. I honestly have so many recipes from this cookbook bookmarked to make. I was so close to making the Vanilla And Blueberry Cheesecake Pudding, but I usually don’t like to review a cookbook with a dessert unless it is a dessert cookbook. And the Piri-Piri Barbecued Chicken Kebabs are totally calling my name, but it’s been windy and cold and I didn’t want to go outside to grill. 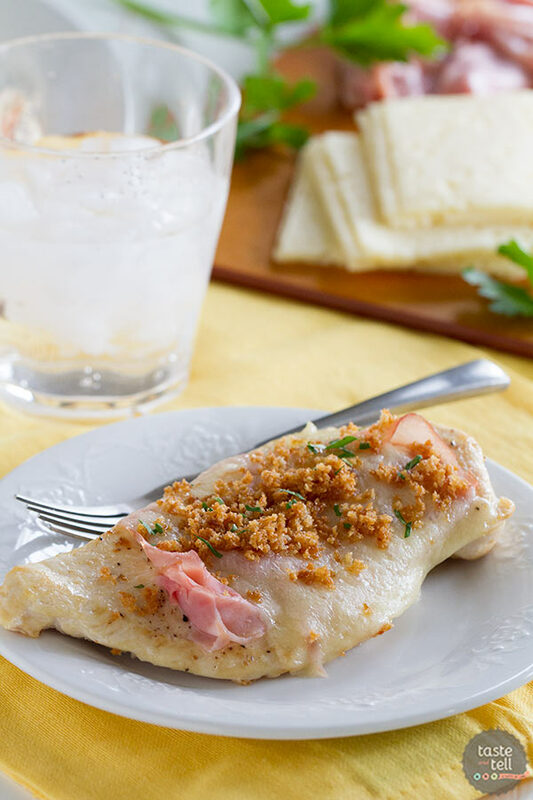 And then I spied this easy chicken cordon bleu. 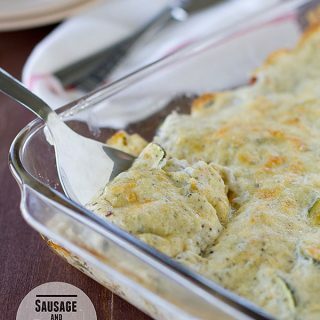 This was a recipe without a photo, so it didn’t stand out for me at first (I’m always drawn to the recipes with the photos!) but I’m so glad I slowed down to read this recipe. It was a hit!! I have always loved chicken cordon bleu, but it is normally a little time and labor intensive. 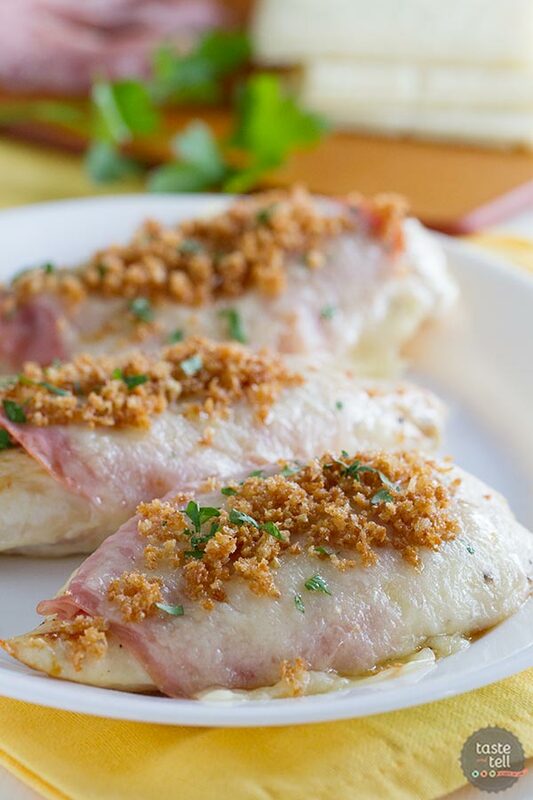 But an easy chicken cordon bleu? 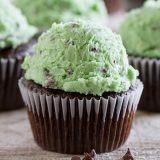 One that carries the same flavors, yet can be done in under 30 minutes? Count me in!! The only other change I made was to decrease the amount of the breadcrumbs on top. I love, love, loved the breadcrumbs (and ate all of the extras myself!!) but I didn’t feel like we needed the full amount. I am so excited to have this cookbook in my collection, and I can’t wait to continue to cook from it!! 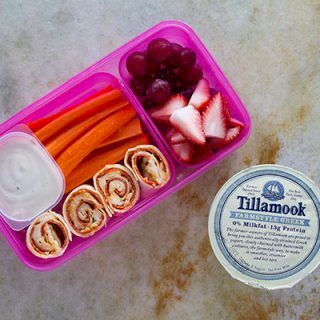 A delicious and “fancy” dinner does not have to take all day! 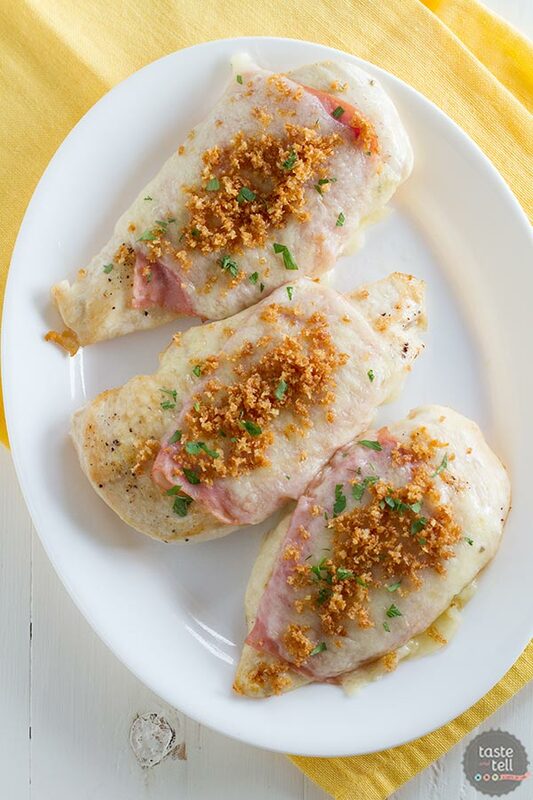 This Easy Chicken Cordon Bleu is ready in under 30 minutes. Melt the butter in a small skillet over medium heat. Add the panko breadcrumbs and cook, stirring constantly, until they are a deep, golden brown. Remove from the heat and stir in a dash of salt. Set aside. Preheat the oven broiler to high. Line a rimmed baking sheet with foil. Place the chicken breasts on a cutting board, and using a sharp knife, cut the breasts in half lengthwise, forming 4 thinner pieces. 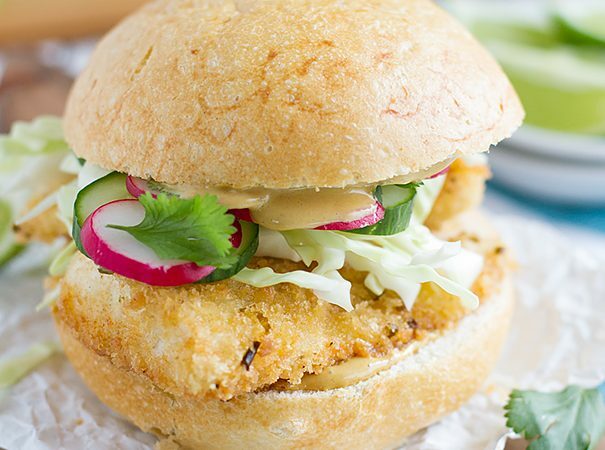 (Alternately, you can use 4 chicken cutlets.) Season both sides of the chicken with the remaining salt and the pepper. Heat the vegetable oil in a large skillet over medium heat. Add the chicken and cook until browned, 3-4 minutes. Flip the chicken over and cook the second side until browned. (You may need to do this in 2 batches if your skillet isn’t big enough.) Transfer the chicken to the prepared baking sheet. Top each piece of chicken with some of the ham and a slice of cheese. Broil the chicken until the cheese is melted and bubbly, 3-4 minutes. Make sure to keep an eye on it as it goes quickly. Serve the chicken sprinkled with the reserved breadcrumbs. 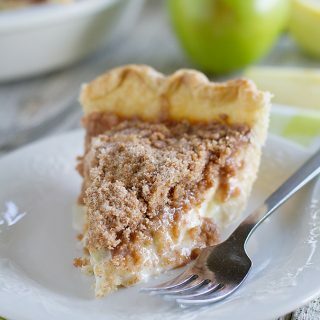 Follow Taste and Tell on Pinterest! One of my favorite meals!!! This looks amazing, can’t wait to try! I love this cookbook! The Kale breakfast salad was amazing! I can’t wait to make that again. And this looks excellent! But get her first cookbook. It has so many great recipes in it.